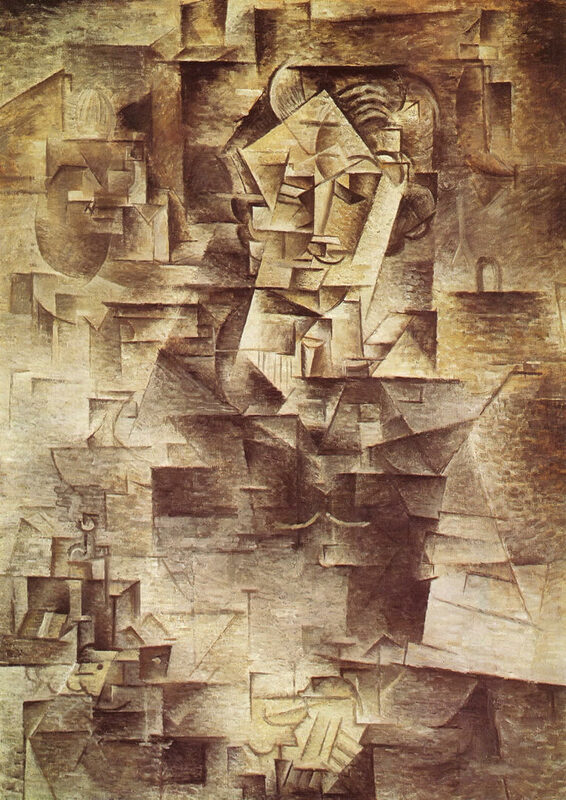 "Portrait of Daniel-Henry Kahnweiler" (Spanish: Retrato de Daniel-Henry Kahnweiler) is a 1910 oil on canvas painting by Pablo Picasso in the Analytical Cubism style. It was completed in 1910, and is in the collection of the Art Institute of Chicago. The artwork displays brown as its prominent color, with dimensions 100.5 cm × 73 cm. The painting depicts Daniel-Henry Kahnweiler, who owned an art gallery in France. The artwork depicts the calm character and diversity of Kahnweiler by using several cubical structures on the canvas. Kahnweiler's head, hands, suit, and a still life to the left remain identifiable. Gifted by Mrs. Gilbert W. Chapman in memory of Charles B. Goodspeed in 1948 to Art Institute of Chicago. Post Art is intended for all who want to share their art with the world! Publish your portefolio on our website, on your own digital gallery. Portrait Of Daniel Henry Kahnweiler 1910 - Wallpaper Image featuring Pablo Picasso Paintings that can be downloaded to pc, laptop, tablet and smartphone.